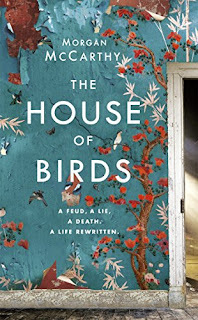 Morgan McCarthy's THE HOUSE OF BIRDS is a beautiful and bewitching story of love, war and second chances that will be adored by readers of Louisa Young and Virginia Bailey. Oliver has spent years trying to convince himself that he's suited to a life of money making in the city, and that he doesn't miss a childhood spent in pursuit of mystery, when he cycled around the cobbled lanes of Oxford, exploring its most intriguing corners. When his girlfriend Kate inherits a derelict house - and a fierce family feud - she's determined to strip it, sell it and move on. 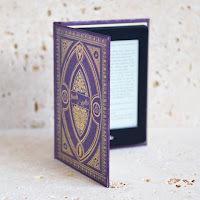 For Oliver though, the house has an allure, and amongst the shelves of discarded, leather bound and gilded volumes, he discovers one that conceals a hidden diary from the 1920s. So begins a quest: to discover the identity of the author, Sophia Louis. It is a portrait of war and marriage, isolation and longing and a story that will shape the future of the abandoned house - and of Oliver - forever. 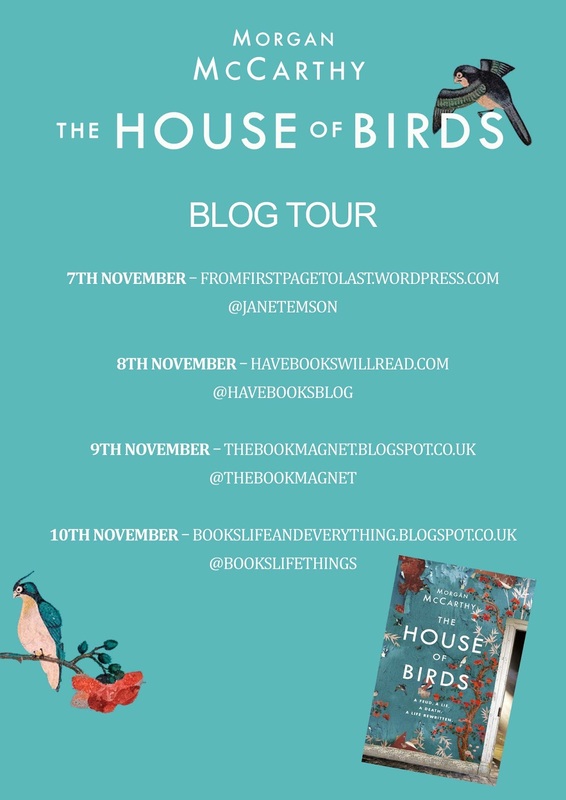 I love any book with a historical feel to it so The House of Birds piqued my interest with the story being around the discovery of a hidden diary from the 1920s. With the eyecatching peeling wallpaper on the cover, I was eager to discover what secrets would lie within. Oliver and Kate knew each other as children, and Oliver has fond memories of peeping through a window of Kate's aunt's house and seeing beautiful birds on the wallpaper. When they meet years later, they start a relationship that feels a little shaky when Oliver quits has job and then Kate is offered a job in New York. Oliver is happy to stay behind as Kate has inherited her aunt's house, the very house that intrigued him as a child, so he offers to renovate the house so that Kate can sell it. The inheritance isn't without controversy, as a part of Kate's distant family, the Calverts, believe that the house should have gone to them. What claim could they possibly have on the house? They are sure that a will was written and lost many years ago which would have given the house to them, but without it they have no claim. Kate's equivalent on this side of the family is fiery Lena. She turns up at the house with all guns blazing to confront Oliver but she doesn't realise that Oliver is falling in love with the house and its story. Oliver is sorting through some old books one day when he stumbles across an old diary, written by Sophia Louis. Who is this mystery lady and why is her story hidden in this house? So Oliver and us, the dear readers, begin to unearth Sophia's story as we are transported back to the 1920s. A time when women weren't allowed into the Bodleian library (WHAT!?!?) as they waited for the passing of the Equal Reading Rights Act. Sophia, although married to George, makes friends with Christopher outside the Bodleian library. At first their friendship is just that, as Christopher pretends Sophia is his sister to gain access to the library for her. George, confined to the house and suffering from PTSD from World War I, begins to get suspicious of Sophia and starts to snoop around while she is out. Little does he know that Sophia has left little booby traps like James Bond to confirm he has been going through her belongings. As Sophia's marriage to George goes through more downs than ups, Christopher is the only one she can turn to. Will Sophia and Christopher manage to finally be together or will George throw a deadly spanner in the works? Sophia's story is completely spellbinding. I found myself chivvying Oliver along to find the next instalment as I couldn't wait to find out what happens next. The writing is so authentic that it felt as if The House of Birds was indeed written by two different authors: Morgan McCarthy writing Oliver's story and Sophia Louis writing her own. 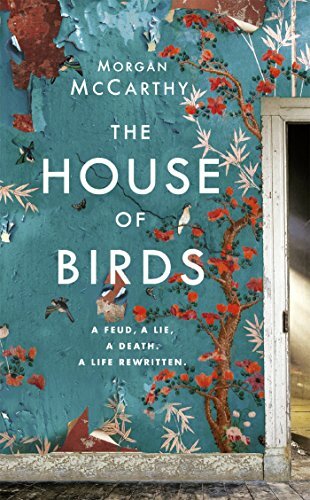 A mesmerising read, The House of Birds is a mysterious literary treasure hunt, of which the prize is finding out about the life of Sophia and her link to this magnificent house.